Did You Know Bach Once Wrote a Mini Opera On How Much People Hated Coffee? Nowadays people love to point how much they just adore coffee. Like, I get it, I won’t talk to you before you’ve had your precious cup. But once upon a time, the early 18th century to be exact, people thought coffee was basically evil. And Johannes Sebastian Bach wrote a mini-opera about how much people hated the drink. 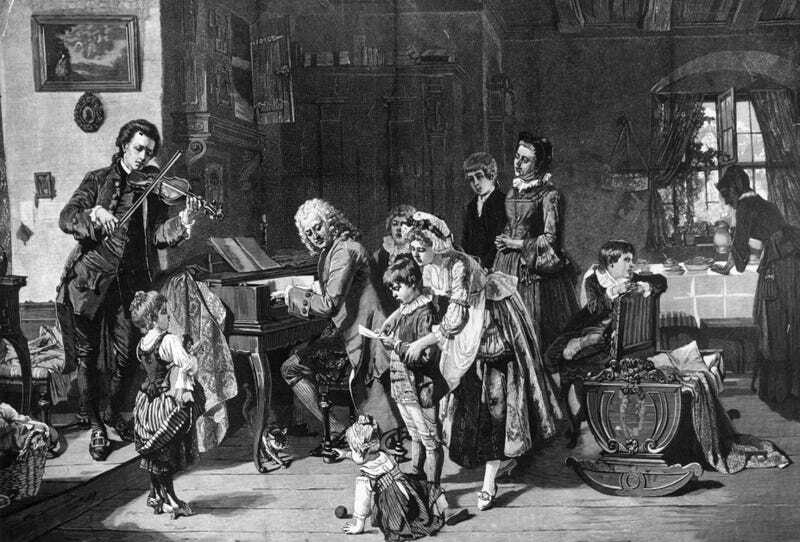 In an essay from Bon Appetit, Cynthia Greenlee writes that back in the 1730s, when Bach wrote his little “cantata” named Schweigt stille, plaudert nicht, coffee was thought to be a “devilish drink unfit for children, women, and men concerned about their virility.” The cantata, which translates to Be Still, Stop Chattering, tells the tale of a father named Schlendrian who scolds his indulgent daughter Liesgen for drinking too much coffee. “Father, sir, don’t be so harsh. If I couldn’t three times a day, be allowed to drink my little cup of coffee, in my anguish, I will turn into a shriveled-up roast goat,” Liesgen cries in the 20-minute piece.